I love the idea of spring cleaning, however, I find it difficult to stay indoors once the weather is finally warming up. 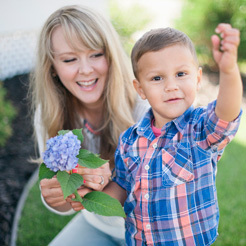 I want to be outside, soaking up the sunshine with my kids…not stuck inside doing housework. So this spring, I’ve made it my mission to come up with shortcuts for the rooms that I spend the most time cleaning. Like the bathroom. The result: These bathroom cleaning shortcuts that (collectively) take 20 minutes from start to finish. 1. Spray everything down before scrubbing. Giving your countertops, showers, baths, sinks, and even toilets a good spritz of all-purpose cleaner will help loosen dirt and grime and (hopefully) cut down on the real work. 2. Banish toilet nasties overnight. Pour toilet bowl cleaner such as Clorox Toilet Bowl Cleaner – Clinging Bleach Gel in right before bed and let it work its magic while you sleep. In the morning, you’ll need only spend a minute or two brushing it with your toilet brush and then flush. Voila! Clean toilet in a flash. 3. Prevent the build-up of stains and germs. Clorox Automatic Toilet Bowl Cleaner is a simple tablet that helps to clean your toilet bowl day and night and it even kills 99.9 percent of bacteria and deodorizes. 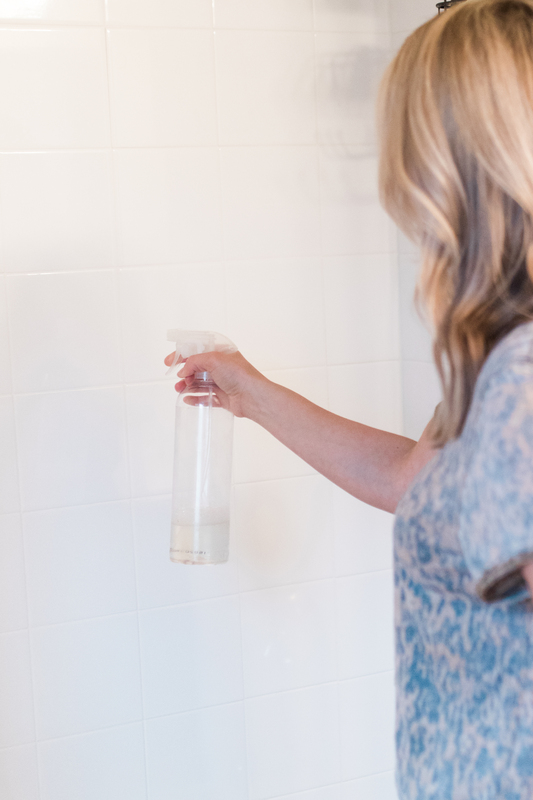 We’ve found that this product keeps our lesser-used bathrooms in tip top shape! We used to experience horrible hard water stains but no longer. 4. 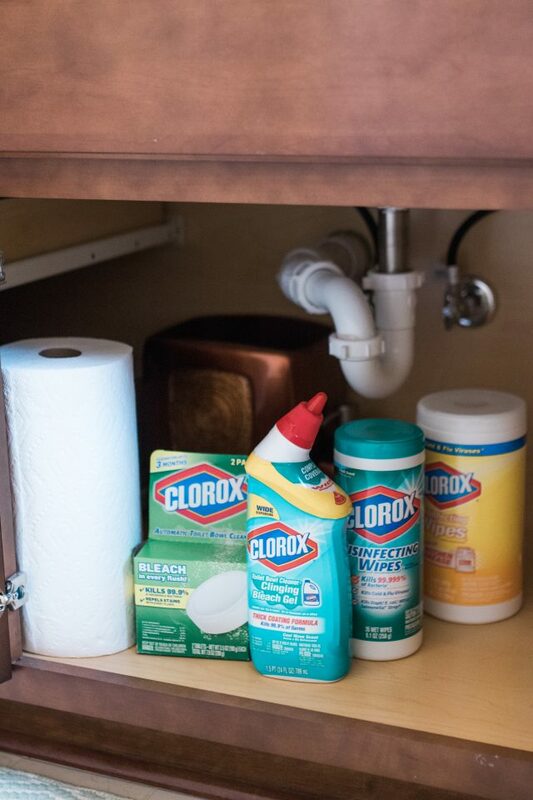 Stash cleaning products and paper towels in each bathroom. You’ll save time by not having to run down to a cleaning closet to gather supplies every time you want to tidy up. Simply spray and wipe any dirty surface for a cleaner space in minutes. 5. 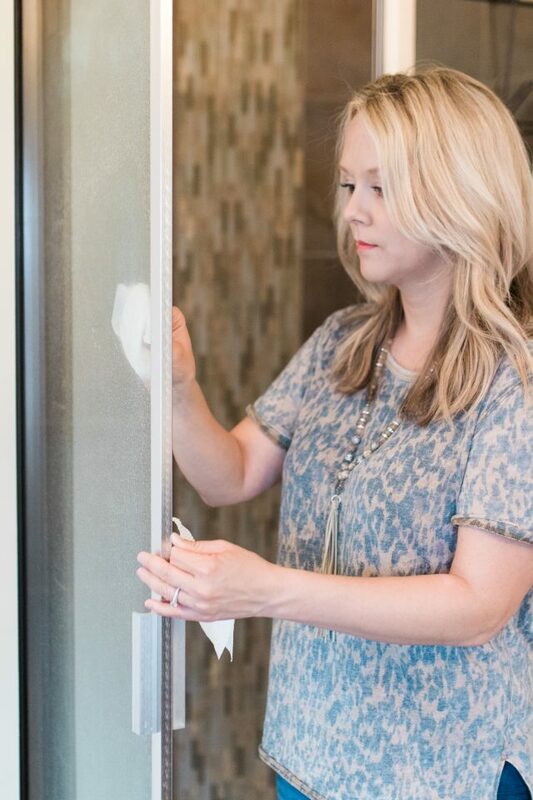 Use a dryer sheet to remove soap scum stains from glass shower doors. What to do with a leftover dryer sheet? This little trick! It magically cuts through soap scum for shinier glass doors. For disinfecting power, use your favorite cleaner afterwards. 6. Clean your shower head without any scrubbing. To remove hard water stains, unscrew your shower head and soak overnight in a bowl of vinegar or fill a plastic bag with vinegar and tie it to the shower head with string or a rubber band. Follow up with a spritz of your favorite cleaning product in the morning. 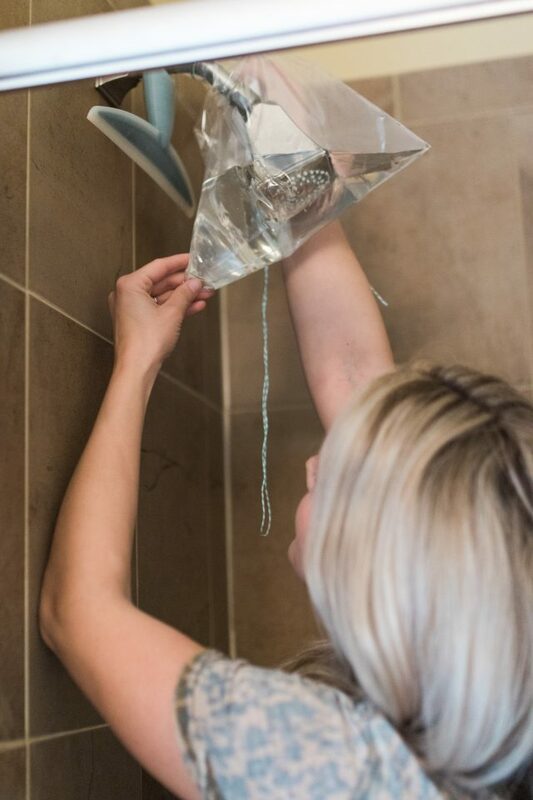 Your shower head will be like new! 7. Keep disinfecting wipes under the sink. 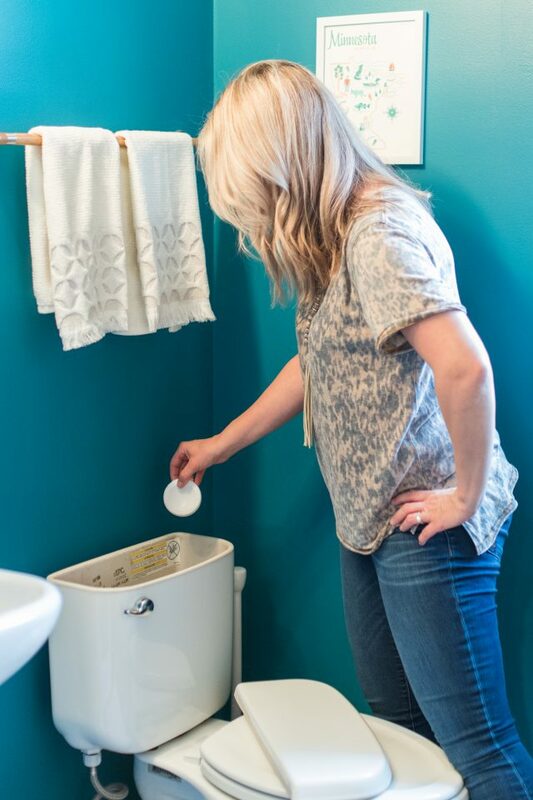 Wipe off sink faucet handles, the toilet lid, light fixtures, and door knobs regularly for a fresher bathroom between your deep-cleaning sessions.